Thomas Neff is Moorestown’s new township manager. For Thomas Neff, 90 percent of any job comes down to one crucial ability. He said while he has amassed any number of skills working for the government and in the private sector, listening is the most important skill he has acquired over the course of his 26-year career. “It takes some time in life to get to the point where you have the patience to listen to people and to have the humility that you don’t have the right answer to everything,” Neff said. On Monday, Aug. 20, town council officially appointed Neff as the new township manager. He said after taking some time away from government work, Moorestown felt like the right place to make his return. Neff grew up in Monmouth County. His father, grandfather and brothers were all lawyers, so he ultimately decided he would go to law school too. He said he never particularly envisioned himself as a lawyer and much preferred government work. Both of Neff’s parents served on town council, which Neff said gave him an appreciation for local government from a young age. He completed his undergraduate degree at Connecticut College where he majored in government. 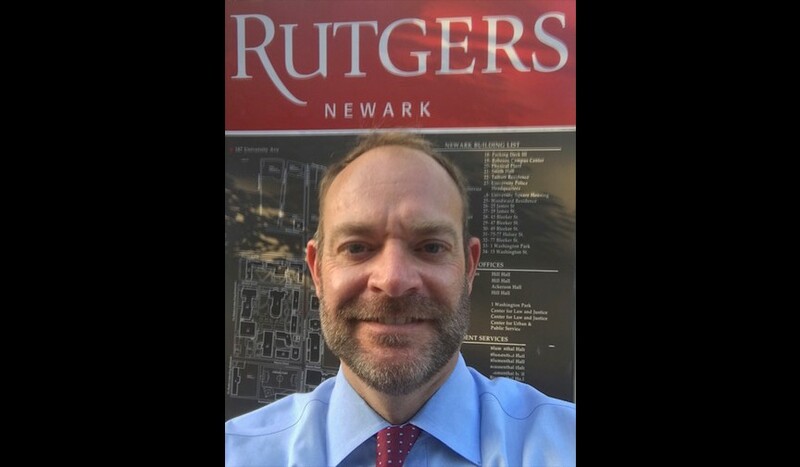 After receiving his bachelor or arts, Neff went to work for the New Jersey State Senate Majority where he served as an aide to the budget and appropriations committee along with a few other committees. During this time, Neff was also in night school taking law courses at Seton Hall. He said his time serving as an aide to the budget and appropriations committee helped him to develop something of a speciality in regard to the state budget, so that when he graduated law school, Governor Christine Todd Whitman recruited him to serve as budget counsel for the Department of Treasury and the State Budget. As budget counsel, Neff advised the governor regarding the rules and legislation pertaining to New Jersey treasury functions. After serving in the governor’s office, Neff left entered the private sector working for the law firm of McManimon & Scotland for a year, but he said it didn’t feel like the right fit. In 2004, Neff made his return to the senate working for the Office of the New Jersey Senate Minority. From 2010 to 2014, Neff served as the director for the New Jersey Division of Local Government Services where he regulated and approved all of the state’s local budgets. From there, his speciality working on the state budget lead Neff to his position as Deputy State Treasurer where he assisted the state treasurer from 2014 to 2017 with the development and execution of the $33 billion state budget. Most recently, Neff served as state fiscal monitor for the city of Newark where he oversaw the city’s financial operations. Neff said he left the state level of government approximately a year ago because he had reached a point where he wasn’t comfortable with the direction they were headed in. He said after 26 years of working non stop, he made the decision to give notice and take some time off. Since January 2018, Neff caught up on the things he wanted to do but hadn’t had the time for while he was working. He said he travelled, fixed up his house and took his time searching for a position that would be both enjoyable and challenging. When Neff learned about the township manager opening, he asked around about the local government. He’d never visited the town before but had always heard great things about the community. He said the overwhelming feedback he received was that the local officials were reasonable people trying to do the right thing for their residents. “It just really seemed like a nice fit and a nice community and a place where I could continue in government service and kind of make a difference,” Neff said. Councilwoman Victoria Napolitano said the township received a number of qualified candidates, but Neff was ultimately the best fit. “I feel really confidently we secured someone for Moorestown who’s going to be extremely capable as a leader in carrying us through larger projects coming up,” Napolitano said. Neff said stepping into the role of township manager, his first priority is to hear from the elected officials and local leaders about what’s most important to them.